You need the best recommended, carefully managed, cost-effective dog trainer services in Scotland. Ask about our full services list and lead times for your work – whether it’s an emergency alarm call out security patrol or you’re planning large-scale festival events. Mind out for dog trainers without the proper background training and experience. Talk to SpecialistK9 about previous success stories. Find out how well trained dogs at SpecialistK9 help authorities to beat illegal drug abuse, criminal trade and human trafficking. Professional dog trainers and handlers in Scotland know that standards of service and well-documented procedures and performance monitoring give quality guarantees. Dogs trained with up-to-date methods and materials are always in demand. 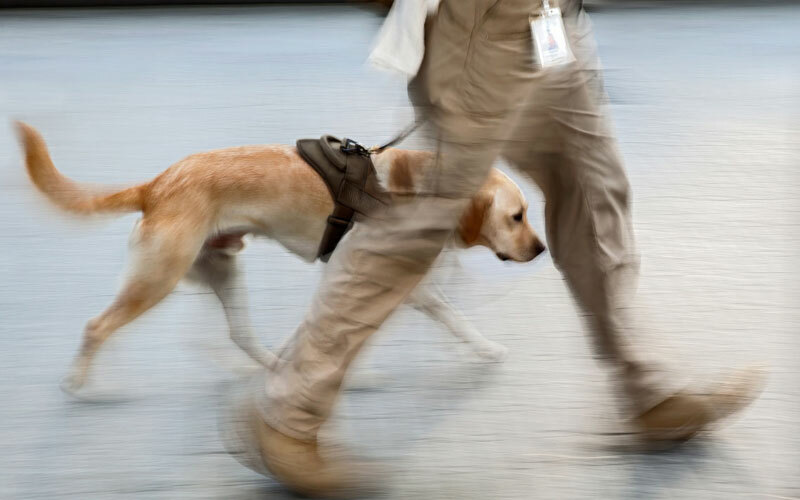 Each dog handler unit takes their detailed instructions from you. Deploy extra support for events, festivals, shopping centres, industrial sites, warehousing, offices, vacant properties, or transport hubs such as bus stations. Perhaps you own a hotel, manage a hospital or a home and have heard that sniffer dogs are perfect for detecting bed bug infestations. Maybe you own multiple site premises and want back-up for alarm emergency situations. Professional dog trainers and handlers in Scotland know that standards of service and well-documented procedures and performance monitoring give quality guarantees. Dogs trained with up-to-date methods and materials are in demand. Call SpecialistK9 to book a management team appointment. We can arrange site visits to your commercial units, retail properties, hotel, education buildings, social housing, festival site, arena or event space to carry out a site survey with you. Telephone us in the first instance. Alternatively, just send an email or complete the online contact form and we will get back to you quickly.